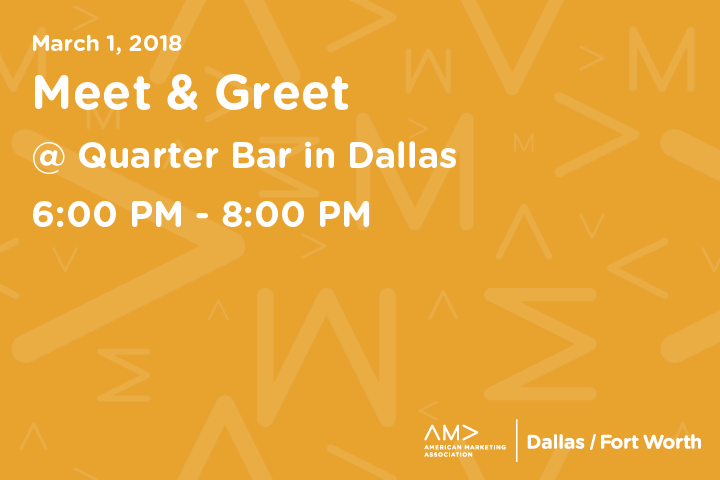 Join us for AMA DFW’s March Meet & Greet on Thursday, March 1 from 6 – 8 p.m. at Quarter Bar in Dallas. Complimentary appetizers are included and paid parking is available across the street. Register early and save! To receive your FREE member ticket, click on Enter Promotional Code, enter your member number, and click Apply. If you register online in advance pricing for this event is $10 for non-members. After February 28, tickets will be $15 for non-members.